Children who regularly drink fresh farm milk are less likely to develop asthma than kids who consume the industrially processed product. A number of epidemiological studies have already pointed toward this effect, and it has now been verified by LMU researchers in the Pasture birth cohort. Moreover, this latest study shows that the protective effect is partly attributable to the fact that fresh milk contains more omega-3 fatty acids than does processed milk. Nevertheless, the authors of the study refrain from recommending the consumption of untreated milk, since it may contain pathogenic micro-organisms. The new findings appear in the “Journal of Allergy and Clinical Immunology”. The long-term research project PASTURE followed over a thousand children living in rural areas, whose mothers kept records of their child’s nutrition and it’s illnesses up until the age of 6. 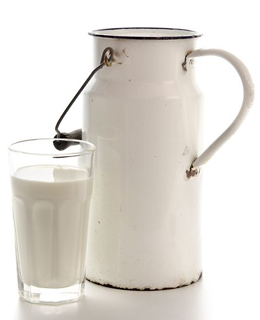 The analysis of these health diaries revealed that the proportion of children who had developed asthma by that age was significantly lower in the cohort who had regularly consumed untreated farm milk. “The effect can be partly explained by the higher overall fat content and the higher levels of omega-3 fatty acids found in farm milk,” says Tabea Brick, a member of the research group led by Erika von Mutius, Professor of Pediatric Allergology at LMU and Head of the Department of Asthma and Allergies at Dr. von Hauner Children’s Hospital in Munich. According to the study, this effect is specific and can be clearly distinguished from the possible impact of other modulatory factors. Omega-3 fatty acids are essential for human health. However, they cannot be synthesized in the human body and must therefore be obtained from dietary sources. The compounds are thought to have a number of positive physiological effects. “For example, they are known to serve as precursors for the synthesis of anti-inflammatory substances,” Brick explains.